The jack half has two mounting 'ears' with M3 screws installed, 0.984" inch / 25mm apart. The ears are flexible so the holes don't have to drilled very precisely. Can be used with box walls up to 0.25" wide. The screws can be put on from the back for 'reverse' mounting if the box thickness is a problem. 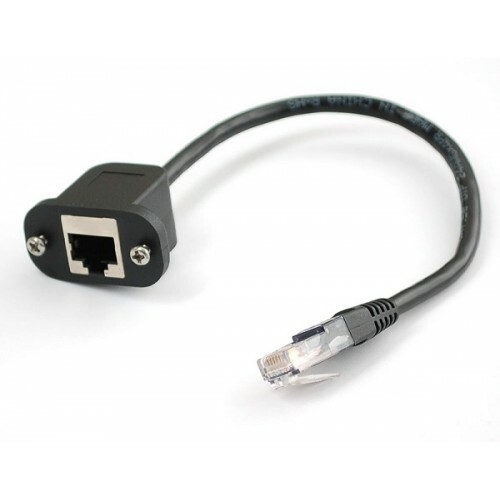 Entire unit is 12" long (9" cabling between jack and RJ45 Ethernet connector). 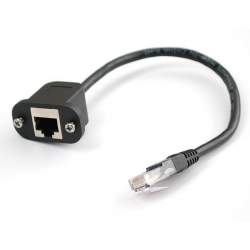 3ft cable length plus connector ends.